Chroniclegear July 22, 2016 June 22, 2018 No Comments on Hello world! Welcome to Chroniclegear.org, my blog. It is here where I’ll be posting unrelated and tangentially related material that’s not posted on my work/portfolio site. Slow internet browsing with Firefox, Chrome and Opera on Windows 10? 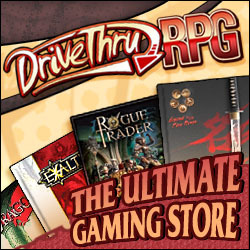 If you like what I do and would like to help me out, use this link whenever you shop for all your RPGaming needs at DriveThru RPG. When you do I'll receive a small commission (at no cost to you), that'll help keep running the site.